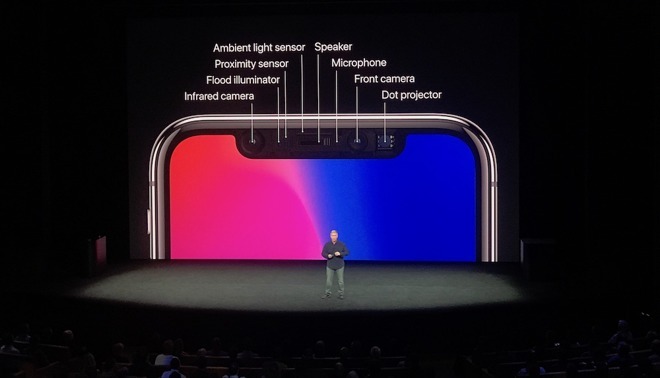 Countering the speculative narrative that iPhone upgraders might be turned off by iPhone X's missing Home button and Touch ID and its new touch navigation gestures and Face ID authentication, a report published by the Strategy Analytics Consumer Sentiment Analysis group identified the new phone's front-facing TrueDepth camera as a primary driver of interest among buyers and noted that customer sentiment surrounding Face ID is "extremely positive." 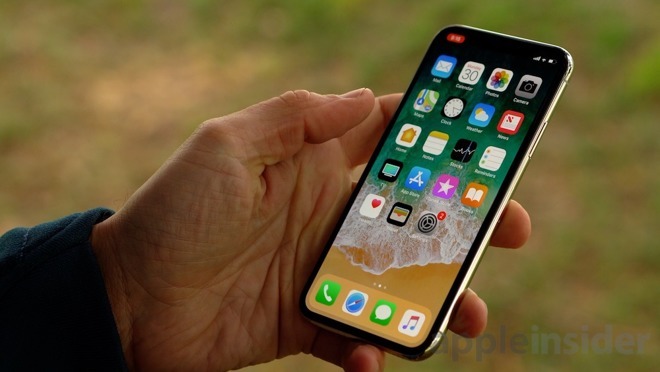 The report, looking at 568 early adopters of iPhone X, also found positive sentiment for the phone's new Super Retina HD display and improved battery life, with around 80 percent of users expressing a positive view of those features. However, the phone's camera elicited even greater positive sentiment from user reviews. The study also noted that "brand equity remains an important factor for the iPhone X. As an established brand with a loyal customer base, those already in the Apple ecosystem will continue to purchase these products." Adam Thorwart, a lead analyst for the firm and the author of the report, stated that "overall, early adopters of the iPhone X are satisfied with the device. The combination of consumer sentiment for device features and Apple's brand reputation help this device become a standout product in the US Smartphone market." Kevin Nolan, a vice president of UXIP stated that "iPhone X has upgraded virtually every core device feature so it stands to reason that iPhone consumers will likely be satisfied with the device. The upgrades to the camera are particularly noteworthy. It will be interesting to see how other manufacturers respond to the innovations bought [sic] about by Apple though this generation of iPhone." Apple has consistently delivered new, broadly positive iPhone innovations every year for a decade-- ranging from Siri to Touch ID-- forcing its rivals to scramble to copy its work. At the same time, no other phone maker or broadly licensed mobile platform has managed to deliver a similar streak of consistently solid, differentiating hits with the ability to drive high volume sales of premium, profitable smartphones. In fact, Amazon, Google and Microsoft have all failed to drive commercially successful phone sales based on new features and capabilities they developed. Android has only become the default alternative for building low cost commodity phones, and most hardware makers are losing money or making very little from smartphone sales. That suggests that rather than being perpetually, precariously stuck on the edge of a cliff of doom, Apple's iPhone business is competently capable of delivering innovations that buyers respond to favorably, in stark contrast to the gimmickry and alternative-knockoff copying that defines most of the rest of the smartphone industry. As I get more used to this phone, I realize how much I love it. When I pick up my iPhone 7 or iPad mini 4, they seem odd and old, suddenly. FaceID in my opinion is superior to TouchID due to the fact there is no finger movement. It’s all automatic. Not quite as accurate... but close. Ha! It’s funny you’d say that, because I feel the same. The home button seems weird to me now, lol, and Face ID feels so natural. Also, the “notch” has become a normal part of life for me, blending into the background during regular use, or disappearing altogether when I so choose not to use the screen space around it. Such an amazing phone. That said, my old phone was a reliable old iPhone 6 that my 4 yr-old son drowned in the sink and I was still able to continue using for several months before deciding to grab the X, so it was a substantial upgrade for me. Once more it would appear as though Apple actually knows what they are doing - listen to this, armchair CEOs and nerds! My my wife has the X and we both love it. The one thing I clearly dislike, however, is the nickel and dimming, here e.g. by saving the practical plastic case for the wired headphones and replacing it with some one time paper thingy. And yes, I do realize they like you to buy the AirPods (I have and love them, but still very short in supply so I’m not the only one it seems). I've got a stack of these things and the plastic cases are hard to recycle, so I'm glad to hear that they're putting them in paper covers. I'd like them to go a step further and ask if you want headphones when you order the phone, and then if you say 'yes', you get a free set – in a paper bag. I've got so many of these things now, and I can't give 'em away because all my friends have iPhones so they have drawers full of the damn things too. Yes! Yes! Let it run through you! Now strike the iPhone down with all your might! I am soooo tempted, but my current iPhone isn't that old, and I've made the mistake of listening to rumblings about a bigger screen next year… So next year I'll kick myself when the bigger screen doesn't show up. Still my favourite reason for not getting one was the fella who said that FaceID wouldn't work for him because he had a very generic face. I've owned every iPhone v4 onwards and I have to say that this is the best iPhone I've had yet. Going on to my second week with the X and I agree (so far) that Face ID for unlocking and Apple Pay are my favorite features. I suppose at this point that second favorite is the camera, specially optical zoom and OIS. As for the screen, it's one of those things that don't excite me especially, yet I hate going back to an older phone such as when I have to do anything with the Mrs.'s 6. Or, for that matter, even when using an app that hasn't been tweaked for the X's screen. I would have expected that satisfaction with the new OLED screen would be higher than 95%. It was independently rated the best ever. I wonder what problem those 20% have with it. Never the less next years phone will be even better. But I still wish they had TouchID under the Display. Admitting on a public forum of distracted driving. Wow! Oh look, we have a new one in our midsts. It just kills you that people actually enjoy products from the #1 brand, the most successful public firm in human history. Your pain compels you to troll on an apple site, attempting to express the neurosis by stating and restating how much you don’t like it that other people enjoy their products and tools. Several familiar troll tropes, but in the end your execution is poor. Troll Score: 0 of 10. Curious that you claim to have had an X, but go on to pretend that the notch obscures video playback, which it does not, unless you specifically zoom in to force it to. Something the web haters who haven’t used one fail to understand. You don’t have to “bring it up to your face”, that’s a complete myth as well. The back is no more crack prone than my 4 series models, and less so in fact. Bluetooth crackling must be do to crappy equipment, none here. Works with sunglasses, as long as they don’t block IR. But you shouldn’t be using while driving anyway. Force killing all apps is unnecessary on iOS as has been confirmed many times. Force quitting a single app is not a problem, the extra tap and hold to enter kill mode is quickly learned and prevents accidental data loss when swiping apps. Yeah. So did you really? I don’t own an X, I have used one first hand. I set two up for close relatives. Scroll bar blocked in landscape. Super annoying for me who surfs the web. Aspect ratio is all wrong. iPhone 6 & 6 Plus can be used in full screen to watch video. For £1,000, that’s too many compromises. Hopefully next year the iPhone 9 should eliminate many if not all of these.